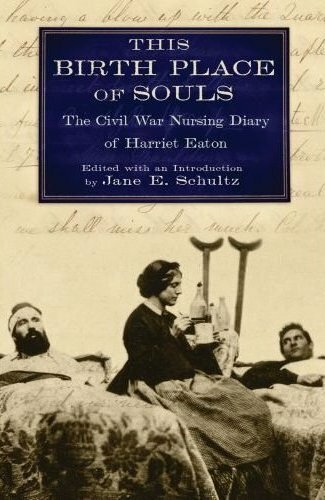 As our Word for Word Non-Fiction series, marking the 150th Anniversary of the Civil War, continues, we welcome Professor Jane Schultz to the Reading Room to discuss the recently published Civil War Nursing Diary of Harriet Eaton, This Birth Place of Souls. Schultz served as editor of the work, which, with an extensive introduction by Schultz, gives the reader a stark depiction of medical services to the wounded at the time. In our Blog Q&A with Ms. Schultz we learn of her love of great literature, early interest in the Civil War, and a strawberry rhubarb pie that we wish we could sample. A long time ago, when I was in the fourth grade at Old Bonhomme School in St. Louis, my teacher Harriet Walker read the class Harold Keith’s Rifles for Waitie, and I’ve been interested in the Civil War ever since. More recently, when I came upon the Eaton diary in the 1990s while I was writing Women at the Front (North Carolina, 2004), I knew it was a rarity and that it should be published some day. At home in my office. It looks out on a rose of Sharon tree that hummingbirds visit in the summer. Most of This Birth Place of Souls was drafted in a flat in the suburbs of Sydney, Australia, where I was on sabbatical in 2006-07. My “home” office there looked out onto the orange-tiled roofs of Randwick and Coogee Beach and beyond to the Pacific Ocean. Cool! Not really. Writing is hard work, especially academic writing. But I would say that sometime around age 40, it occurred to me that I could express whatever thought I had, whereas earlier in my life, forming words to the thought did not come as readily. I make a mean strawberry rhubarb pie (but it is no secret). No single one, since I’m an English professor (how could I choose?). However, here are a few pieces of fiction that I like very well: Edith Wharton’s The Age of Innocence, Henry James’s The Portrait of a Lady, William Faulkner’s Absalom, Absalom!, George Eliot’s Daniel Deronda, Jean Rhys’ Wide Sargasso Sea, Charlotte Bronte’s Jane Eyre, Charles Frazier’s Cold Mountain, and any short story by Nathaniel Hawthorne. An editor at a press, but sometimes before that I circulate individual chapters to colleagues around the country and world. No, but I use their indexes to remind myself of specifics that I’ve forgotten if I need historical evidence for a talk or another piece of writing that I’m preparing. And I do reread the Acknowledgments and copy parts of them so that I can send them to the people I’ve thanked. Sometimes those people have no idea that they’ve been acknowledged, and it makes them happy to find out. A simple thing to do to bring happiness. Depends. When I’m working on a book or article or a letter of recommendation, I use the computer. If I’m taking notes on something I read, I write longhand. Old school all the way: I’m in the middle of Siddhartha Mukherjee’s The Emperor of All Maladies as well as Florence Nightingale’s Notes on Nursing. In fact, I wish I were a writer. In fact, my day job makes most of that impossible—teaching and constant grading of papers. If I didn’t write, however, I would be a gardener or a painter or both. 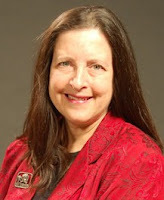 Professor Jane Schultz will be in the Reading Room tonight for a Word for Word Non-Fiction discussion on Harriet Eaton and Civil War nursing.